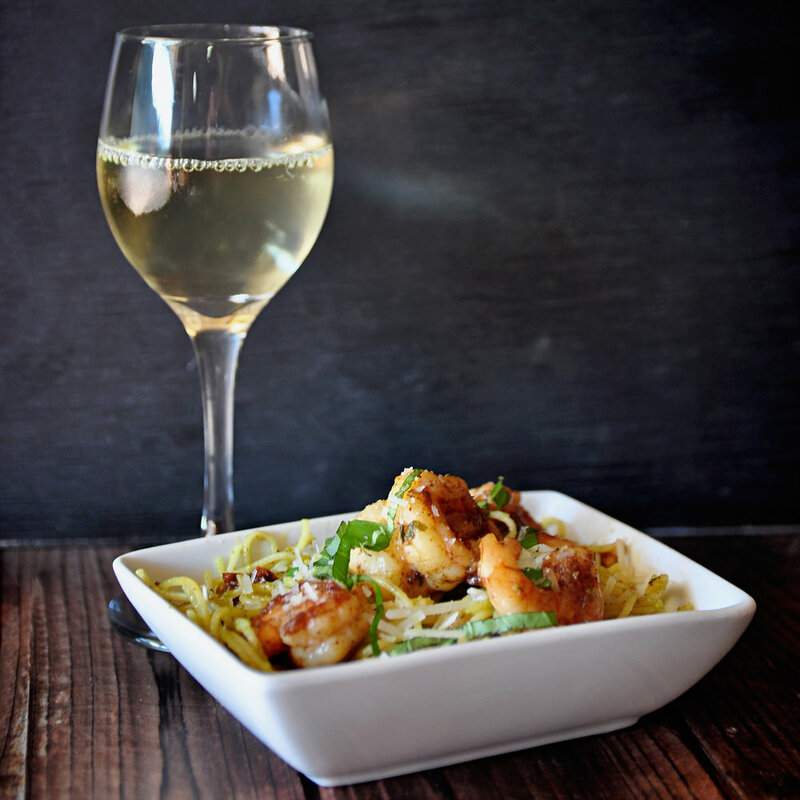 *Wine Pairing Dinners on 1st and 3rd Sundays of each month by reservation only. Each month our dinner menu changes slightly to reflect the freshest seasonal ingredients, while keeping the classic AZA dishes you know and love consistent. Our next Wine Pairing Dinner will be Sunday, April 7th at 4pm with live music from local legend Lauren Sheehan! Each week Chef prepares an exclusive four-course dinner featuring the freshest seasonal, local ingredients and expertly pairs each course with an optional wine pairing. Our restaurant features two separate dining areas, as well as an outdoor deck overlooking the creek that can be reserved for private events. We have proudly hosted several weddings, receptions, rehearsal dinners, graduation parties, anniversaries and birthday parties! We also offer catering services off-site, at the location of your choosing. Our chef can come cook on-location for your event or the food and beverages can be delivered. 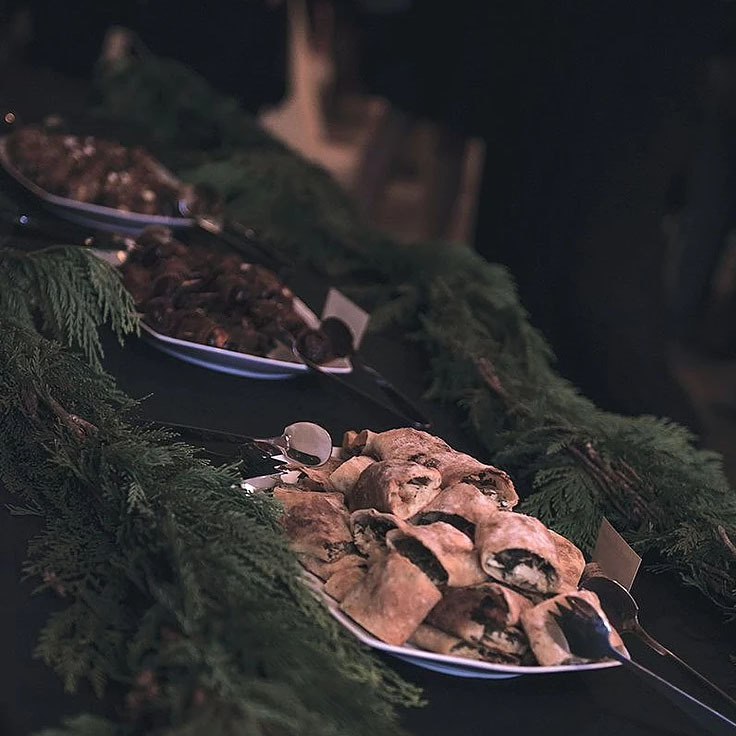 For more information on booking a private event, please contact us at 503-357-2900, or click below to fill out our catering form and we will contact you within 48 hours. We look forward to hearing from you soon and helping to make your event unforgettable!. Whether you are looking for a few plates of hors d’oeuvres for a small group of friends, or a plated five-course meal for two hundred of your closest colleagues, we are here to help! We can customize any menu to fit your needs and budget, so give us a call today to start planning your event! With two indoor dining areas as well as a large deck overlooking Gales Creek, we can accommodate groups of up to 70 (inside) and 100 (inside and out!) for any type event or gathering. Venue rental fees start at as little as $100, and can be waived with a minimum food or catering order. Pick a date, plan your budget, let us handle the rest! We will happily customize a menu and dining experience exclusively for you and your guests, and handle everything from the decor to the clean-up and all the details in between. We are located 25 miles west of Portland, 40 miles east of Tillamook, on the beautifully scenic Wilson River Highway (hwy 6). Our private dining area overlooks Gales Creek, and during the summer months you can lounge on our deck, bask in the sunshine, and enjoy the sound of rushing water as you sip a glass of cool wine and dine on the finest cuisine around. But I digress... we're in the middle of nowhere, "out of the blue".